Screen and digital printing businesses are getting their worlds rocked. Team and Spiritwear for league play is on; consequently, youth sports is at the forefront. Soccer, baseball, rugby, football, softball, cheer and spirit teams. In addition, adult leagues are in the mix. As a result, big time screen and digital printing opportunities are upon us. 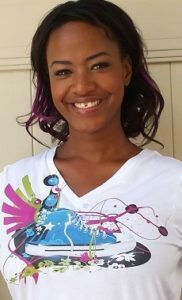 Increase creativity with noteworth heat transfer papers. Create custom Spirit and Team designs for light and dark color uniforms. Transfer to 100% Polyester/DriFit, 50/50 Blends and 100% Cotton. One exceptional paper for light color Spirit and Team wear is SingleStep™. Use it with a laser printer; effortlessly generate a Team motif or player name. This one-step heat transfer paper is weedless. Only the toner transfers. With no residual window, designs appear to be screen printed. Colors pop. Images are sharp and defined. Easy identification of fave team members is is possible. To create images on dark teamspirit wear, RhinoDARK™ is the choice. Get colors that pop with this weedless paper. No picking or trimming, needed. Only the toner transfers. The more the shirt is washed, the softer the feel. No problem transferring to DriFit, 100% cotton or 50/50 blends. 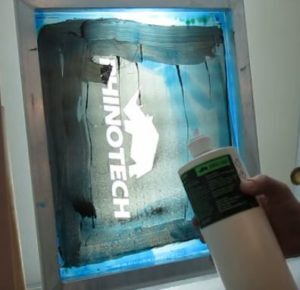 View our step-by-step video instructions on both laser papers @ youtube.com/rhinotechcompany. In addition, RhinoTech also offers high quality heat presses. Go with OKI Data laser printers that are designed for the decorative apparel industry. Do you prefer to screen print? 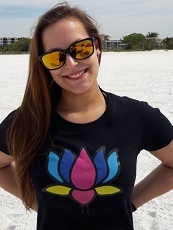 A variety of noteworthy, manual, textile screen printers are available. Choose between standing and table top versions. Showcased, too, are these pieces to round out a complete set-up: Conveyor Dryers, Flash Cure Dryers, Exposure Systems, Screen Drying Racks and more all found at www.rhinotechinc.com. And, superb and proven Screen Cleaning Equipment ensures that screens are cleaned to perfection. The premiere line-up of Screen Cleaning products includes soy and citrus-based cleaners. These exemptions make for happier employees. RhinoClean Green is the top choice. Non-toxic, biodegradable. Conclusion? As a result of this array array of digital and screen printing and screen cleaning equipment and products, you’re good to go. Team and Spirtwear will never be the same. Connect with us at: 651-686-5027. info@rhinotechinc.com. 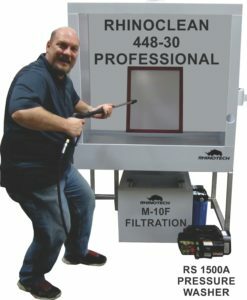 www.rhinotechinc.com. 888-717-4466.